You are born with massive potential which gives an indication of what you can accomplish in life. Those things are accomplished in stages at the different life stages. When you were a child there are certain things you could not do at the time that you can do now. You had to grow both physically and in other ways. Whatever you are aspiring to become today requires growth of some sort so that you have the capacity to fulfil that potential. The Bible puts it very well when it says you cannot put new wine into old wine skins otherwise they will burst and destroy the wineskins and the wine will also be wasted. 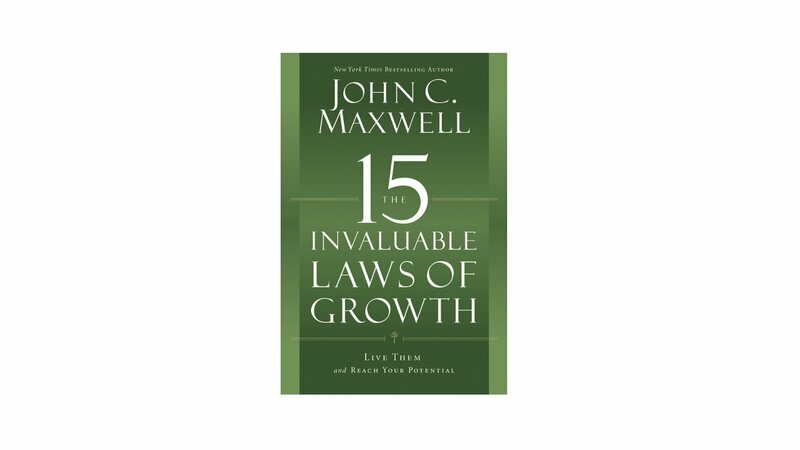 The 15 Invaluable Laws of Growth is one of many John Maxwell books that I have read. 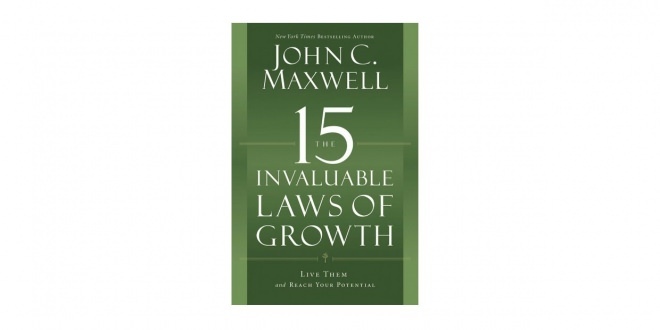 While John Maxwell writes a lot about leadership this book is about personal development as an individual. In a nutshell he teaches through this book that to realize your full potential you must continually develop your capacity. Without that growth you will remain mediocre. The challenging thing is that growth does not happen by chance, you have to be intentional about it. Unfortunately most people will not achieve all they can because they leave their lives to chance and become miserable in the long run. The tendency may be to focus on the goal achievement whereas if you focus on growing you eventually achieve your goals. That is one of the lessons that I picked up from the book. So to realize your life’s potential create a personal development plan that will get you on the right path. Knowing who you are is important to grow. You need to understand what your life purpose is and that helps you put together a personal development plan that will be relevant to what you want to do with your life. There is no single plan that fits everyone so you have to develop one that suits your needs. Your personal development plan should cater for your career, family, knowledge of the Word of God, health, finance, which are some of the most important aspects of your life. Self-awareness also protects you from following every opinion of what you are supposed to do with your life. In this law John Maxwell points out that it is easy to get started on anything but a challenge to keep going which is where you need discipline. The ability to consistently keep going is closely related to knowing yourself and what makes you tick. It is easier to discipline yourself when you adopt things that can keep you going even when the journey gets tough. Another point is that you should start with small steps and not try to do too many things at once. Mastering the small steps daily produces results over a period of time. Going to a higher level will require you to give up certain things at your present level. That is how life is. When you get born again in Jesus Christ you have to give up sinful ways to experience a more fulfilling life. Doing this can be hard especially when you are comfortable where you are. If you are going to be better at your career it may mean accepting a challenge that will see you earning less than your present income initially while you build up a new business unit. It is not a comfortable phase to go through but pays dividends. John Maxwell had his own experiences throughout his career and today he is an influential and skilled personal development expert. While you can learn a lot from reading books by other successful people it is difficult to significantly improve if you do not have a personal mentor to help you. A mentor is someone who will show you the way and potential pitfalls to avoid. They should also be someone who is a friend and you can relate to. The great people have mentors and you also need to have one to achieve significant results in your life. John Maxwell shares examples of the mentors he has had through the course of his life. They played a big part in shaping who he is today. This is a book worth reading that I highly recommend you get a hold of. If you have read the book be sure to share what you learned in the comments below.